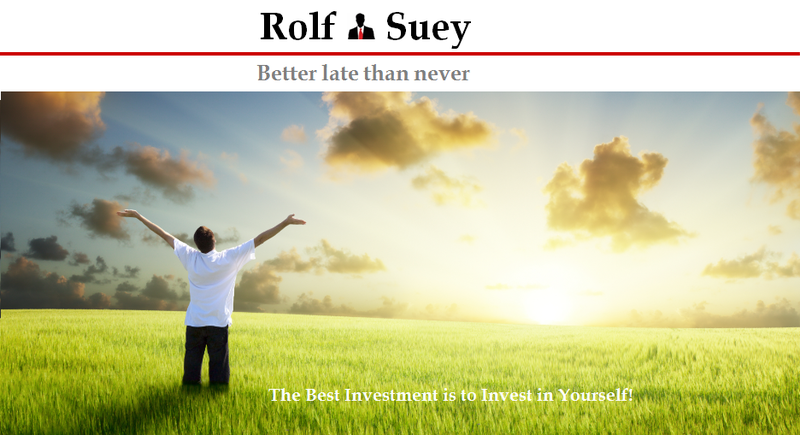 Rolf Suey - Better Late Than Never: Girl Power! Men, Watch Out! Girl Power! Men, Watch Out! When my mum first gave birth to my eldest sister more than 40 years ago, I heard my Grandpa did not visit our family. However when my elder brother was born, my Grandpa was so happy and eager to visit his grandson. Times had changed since. Today there are so many women holding high positions both in corporate, political and even the military world. Further to my last post featuring Woman’s Guide to Financial Freedom, I decide to continue with another post today on woman dominance. This is actually triggered by a topic with a colleague last month on the importance of women in today’s world, not only as mothers and wives but also in the political, economical, corporate and even military world. Then last week, Singapore Armed Forces made history by appointing the first ever-female General. Colonel Gan Siow Huang, 40 will assume the rank of Brigadier-General on July 1. Today, two women critical in determining the fate of Greece who is facing the exit from the EU are the 1) Angela Merkel as the first woman Chancellor of Germany - the most powerful national economy in Europe and 2) Christine Lagarde, IMF Managing Director. If you are wondering when global interest rate is going to rise, affecting our loans, equity or bonds, then the answer can be turn to Janet Yellen, the Chairlady of US Federal government. The importance of Queen Elizabeth and Margaret Thatcher in the history of United Kingdom is widely known and need no further address. In Netherlands, the royal family was reigned by a Queen Regnant for more than a century until King Willem-Alexander ascended the throne two years ago. Coming 2016 will be U.S. Presidential Election. It is left to seen if Obama can continue his presidency contesting with former U.S. president's wife, Hillary Clinton who is currently the frontrunner in the Campaign. Female Presidents also lead the first and second largest nations in Latin America. They are Dilma Vana Rousseff of Brazil and Cristina Fernández de Kirchner of Argentina. At the other end of the world, Park Geun-Hye is the female president of South Korea in tension with their northern neighbor. Nearer to us in South East Asia, prominent female figures include former Philippines President Gloria Macapagal-Arroyo and Myanmar Nobel prize politician Suu Kyi. The list of female head of states goes on in Switzerland, Croatia, Poland, Latvia, Mauritius, Lithuania, Chile, Trinidad and Tobago, Jamaica etc. Back home, the major investor of so many STI constituents such as DBS, Singtel, Capitaland, Comfort Delgro, ST Engineering, Keppel & Sembcorp, SIA, SPH etc is no other than Temasek holdings. Sitting at the helm of one of our nation core investment vehicles is Ho Ching who is also the prime minister's wife. Then you have Chairwoman Slyvia Lim who leads Singapore strongest opposition political party - Workers Party. In the corporate world today, the numbers of female Chiefs are also seen increasing. This is evident in the invite list of the Allen & Co's Sun Valley conference in U.S. where the number of invited Female and non-media attendees doubled to 25 compare to last year. The conference is sponsored by investment bank Allen & Co held at Sun Valley resort every July. The list of attendance includes 300 of the wealthiest and most powerful executives in media, finance, politics and technology. Familiar names are IBM CEO - Ginni Rometty, General Motors CEO - Marry Barra; Yahoo CEO - Marissa Mayer; Facebook COO - Sheryl Sandberg; Hewlett-Packard CEO - Meg Whitman; Xerox Corp CEO - Ursula Burns. The newly added list includes: Spanx Founder - Sara Blakely; President - Julia Hartz, SunEdison’s Rural Electric CEO - Cathy Zoi; Grokker Founder Lorna Borenstein etc. Extracted from Asian Century Institute in Mar 2014, other high profile businesswoman in the world includes: Pepsico Chairman & CEO - Indra Nooyi; Petrobras Former CEO - Maria das Gracas Silva Foster; Dupont Chairman & CEO - Ellen Kullman; Mondelez International Chairman & CEO - Irene Rosenfeld; Lockheed Martin Chairman, President and CEO - Marillyn Hewson; Archer Daniels Midland Chairman, CEO and President Pat Woertz; Westpac MD & CEO - Gail Kelly. Asian top business-women includes: India's Chanda Kochhar, MD & CEO of ICICI Bank; Singapore's Chua Sock Koong, CEO of SingTel; Singapore's Ho Ching, ED & CEO of Temasek; Indonesia's Karen Agustiawan, CEO of Pertamina; China's Dong Mingzhu, Chairperson and President of Gree Electric Appliances Inc of Zhuhai; Korea's Kwon Seon-joo, CEO of Industrial Bank of Korea; and China's Zhang Xin, CEO of Soho China etc. In Singapore, other than Singtel CEO Chua Sock Koong mentioned earlier, there are also Chew Gek Kim, Chairman of Straits Trading Co, Olivia Lum Founder and CEO of Hyflux, and many more. While all has been said of the increasing number of high profile women around us, the percentage still pale in comparison to men. For eg the Allen & Co conference female non-media attendee lists is still only 25 out of the 300. In Singapore, women holding CEO positions is the highest in Asia and third highest in the world. Then again, this figure only account for 15%. Female representation at the board level here is also still low, at 7.9 per cent, according to a latest report by the Credit Suisse Research Institute. But still we cannot deny the growing “Girl Power” dominance around us! And I am sure the status of women around the world will be hugely different in tens of years to come. Young Men out there! Watch out and be really nice to woman! When the PM of Singapore is woman; women have arrived! :-) Maybe but that is only Sg, since Asian or South East Asian already had female presidents. I also strive to be the rare few female CEO or even PM... haha! Anyway, thanks for rooting for the ladies, though I think it will take quite some time to change the sexist mindset in most industries. Yeah...the sexist mindset will take awhile to change. But the good thing is at least it is changing and improving in the right direction to include women in high posts. I think I have lost enough examples to show this. Similar to investments, identifying the trend over long term is more important. I cast my vote to have possible a female Sg PM in my life time! Maybe she will be Jes! To Plan OR Not to Plan? A Test! - So What If He is Financially Rich? Managing Things You Can’t & Can Control?